Fifty-seven volunteers, including 21 youth volunteers, devoted more than 350 hours to planting and harvesting two community gardens. 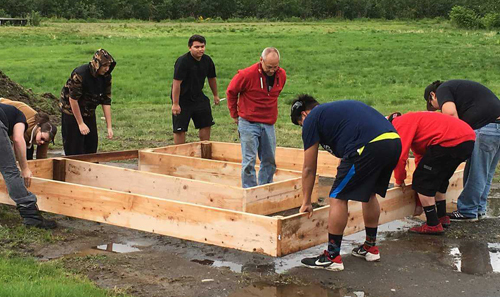 In 2015, First Nations Development Institute (First Nations) launched its “Seeds of Native Health” grant program with the generous support of the Shakopee Mdewakanton Sioux Community, which conceived and created the overarching Seeds of Native Health campaign. The purpose of the campaign is to support Native tribes and organizations working to eliminate food insecurity, promote access to fresh and healthy foods, and provide increased access to nutritional programs aimed at improving the overall nutrition and health of Native people and communities. The Nooksack Indian Tribe, located in the northwest corner of Washington, was one of 12 tribes and organizations to receive grants in the second year (2016) of the “Seeds” program. 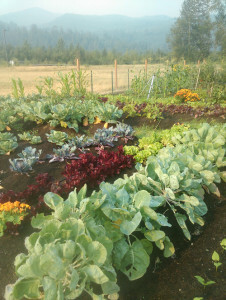 The tribe received $30,478 to establish a community garden to increase access to fresh fruits and vegetables, and also provide cooking and nutrition classes to promote healthy eating and reduce the risk of chronic diet-related illnesses, such as diabetes and cardiovascular disease. Far exceeding the goals and expectations the tribe set for itself at the beginning of this project, it planted more than 5,430 square feet of vegetables, including beans, potatoes, squash and tomatoes to name a few. It donated the entire crop, nearly 200 bags of produce, to the local food bank, and delivered another 60-plus bags to tribal elders. The Nooksack Indian Tribe’s community garden produced 2,803 pounds of food. Initially, the tribe only planned to grow and harvest one large community garden, but then decided to revive a second, smaller garden that had been abandoned. The additional garden was supported with funding from WEAVE and the Indian Health Services. Fifty-seven volunteers, including 21 youth volunteers, devoted more than 350 hours to planting and harvesting both gardens. These volunteers included employees from the tribe’s social services, natural resources, and transportation departments, as well as the health clinic. Harvest boxes were donated to the local food bank and senior center. With this grant, the Nooksack Tribe was also able to hire a full-time gardener who coordinated the planting and maintenance of the two gardens, and also prepared harvest boxes to donate to community members, the local food bank and senior center. In 2017, the Nooksack Indian tribe distributed 2,803 pounds of fresh produce to community members. Additionally, the tribe’s gardener and nutritionist worked together to compile a cookbook that included recipes using traditional foods. They included a copy of this cookbook in every harvest box. 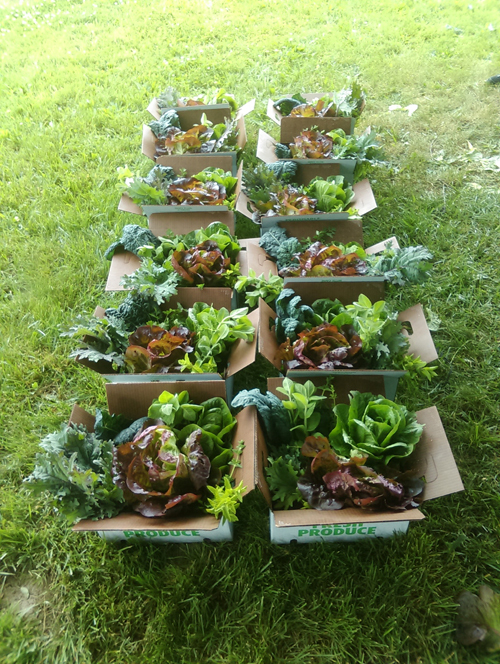 In addition to giving individual harvest boxes to community members, the tribe also donated food from the community garden for senior lunches. For years, senior lunches were provided by the tribe’s casino. “The community garden ensures that our tribal elders will receive healthier meals that are lower in sodium and fat and include fresh vegetables and fruit,” said Himes. The Nooksack Indian Tribe donated 260 harvest boxes to community members. Seventeen tribal adults attended the tribe’s nine food demonstration and nutrition classes. Even more surprising to project organizers, 28 tribal youth also decided to attend cooking and nutrition classes. As a result, project organizers decided to revise the curriculum to include hands-on activities that were more age appropriate. The tribe’s name, Nooksack, comes from a name in the Nooksack language that translates to “always bracken fern roots,” which underscores the tribe’s strong connection to the land. The Nooksack Indian Tribe’s traditional homeland has always been – and clearly, continues to be – a tremendous source of strength and healing for their people. 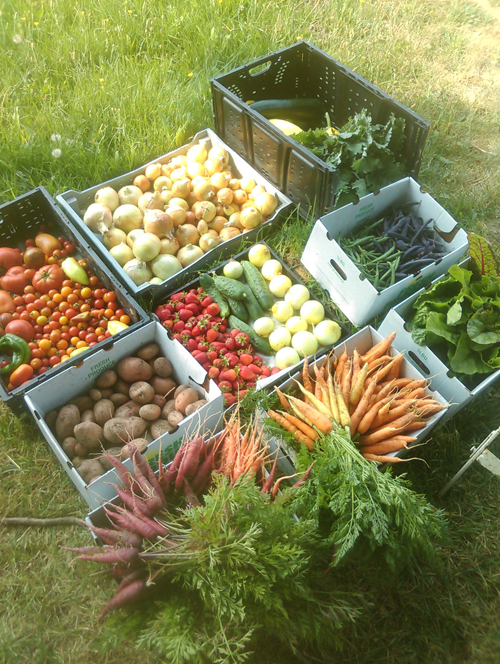 The tribe is a model program that highlights the best of the Native food sovereignty movement. In one year, the tribe, with assistance from the “Seeds of Native Health” grant program, was able to significantly improve the health and well-being of its tribal community, especially that of the tribal youth and elders, using their own traditional knowledge and resources. I am delighted to have learned about this garden idea. Yesterday I received a disturbing letter about the need for an onsite elder care facility on a particular reservation, and believe that this may also be a need on many others. I am particularly concerned about the elderly living alone on the Santee Reservation in Niobara, Nebraska. Can contact be made with someone on that Reservation who could delve into their need for this kind of service and of other needs.